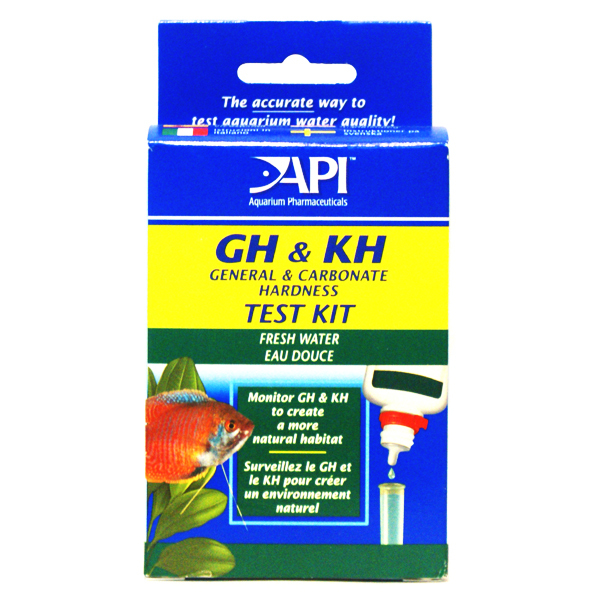 All the test kits we sel are simply based on our Mission Statement which follows what our founder found to work most simply and with the accuracy needed to get the job done for good aquarium husbandry. 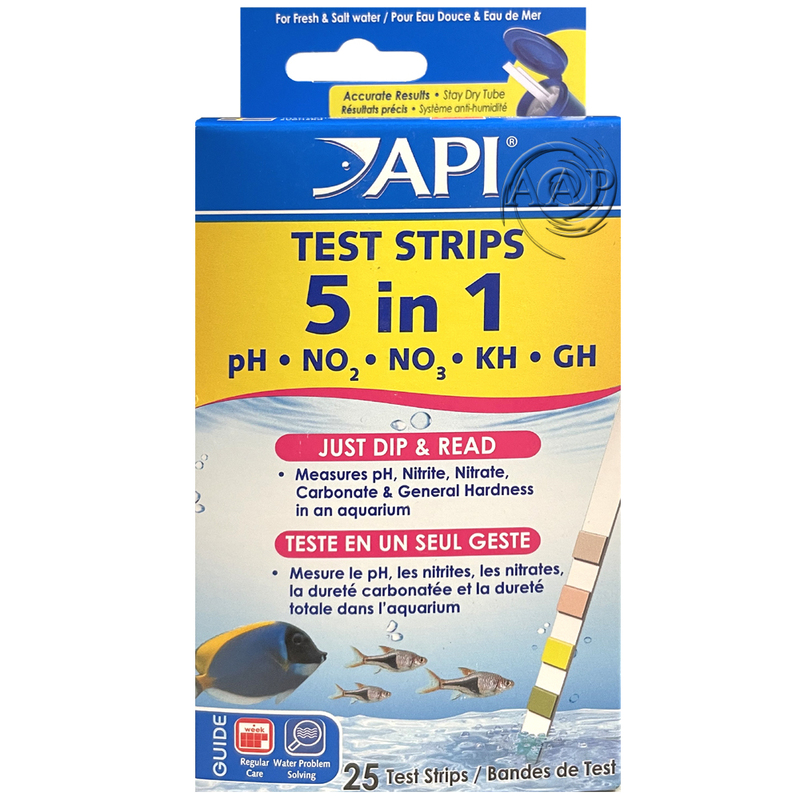 We sell the simple, accurate, & affordable API (Aquarium Pharmaceuticals) test kits including the popular 5 in 1 test strips. 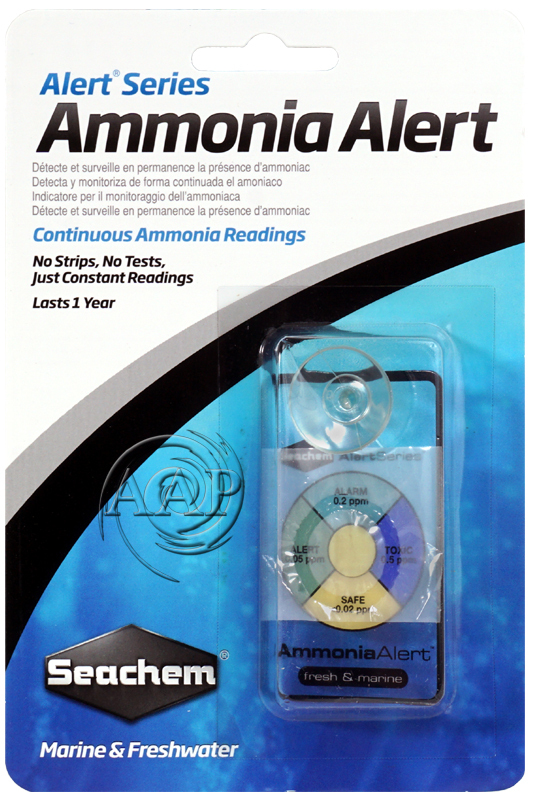 We also sell the SeaChem Ammonia Alert which has an innovative color device that uses a gas exchange sensor for continuously detecting and monitoring toxic free ammonia and not displaying non toxic ammonium (this is excellent for use with Prime or Amquel Plus). 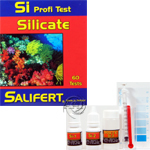 We also sell the test kits from the Salifert line where our founder found them to be unique (please note we have not found their entire line to be worth the extra expense over the test strips or API liquid tests). Finally we also sell other miscellaneous test kits such as Specific Gravity Hydrometers, CO2 tests, and more. For our precision Hanna Testers & Meters, please see this separate web page. 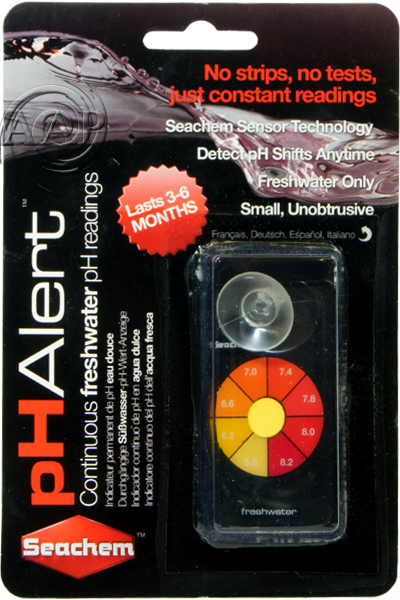 •	The SeaChem PH Alert is a unique color device designed to be placed in the aquarium or filter and monitor pH continuously. A sensor changes color reversibly to alert the aquarium keeper to shifts in pH levels between 5.8 and 8.2. •	For Freshwater use ONLY. 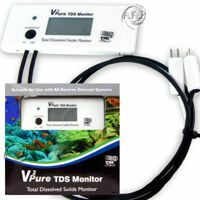 •	Directions; Simply place pH Alert visibly anywhere n the aquarium or filter. No chemicals or procedures. When first placed in the water, response will be in about 30 minutes. Thereafter, pH shifts will register within 10 minutes. •	The SeaChem Ammonia Alert is an innovative color device for continuously detecting and monitoring toxic free ammonia. 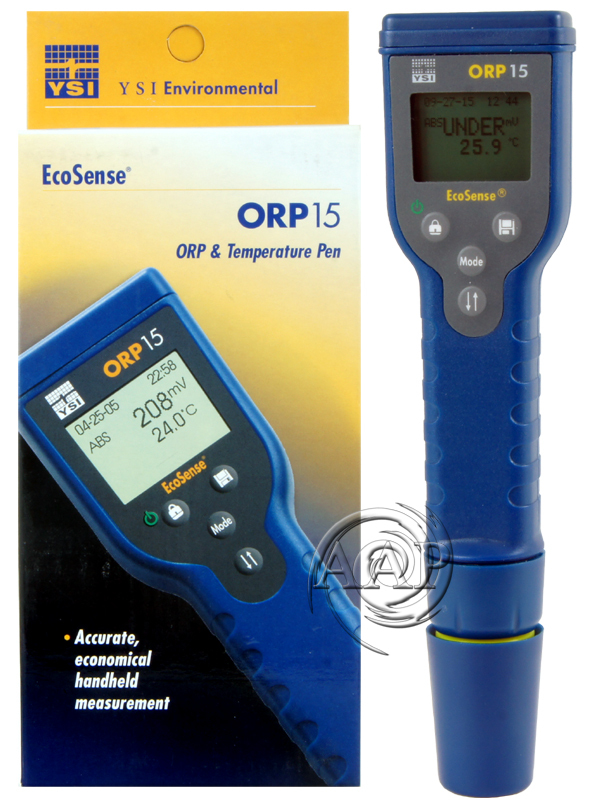 •	A sensor changes reversibly from yellow to green to blue, relative to the ammonia concentration. •	Lasts for over one year. 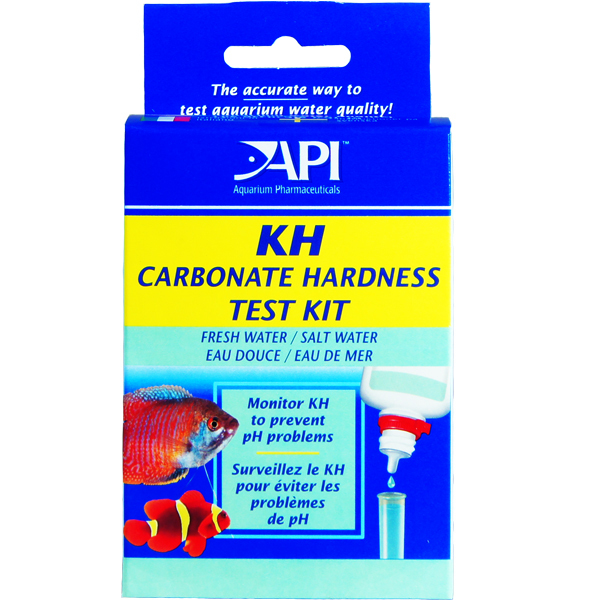 The quick and accurate way to test for pH, Nitrite, Nitrate, General Hardness and Carbonate Hardness. Desiccant-lined tube, with snap-tight cap, provides maximum moisture protection for accurate results. •	A must for proper ph buffering. 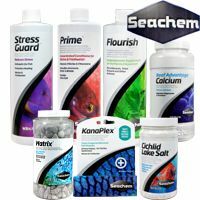 •	Great for proper calcium (KH) and magnesium (KH) maintenance (two important elements for fish health). •	Fast, Easy and accurate. Over 250 tests each. 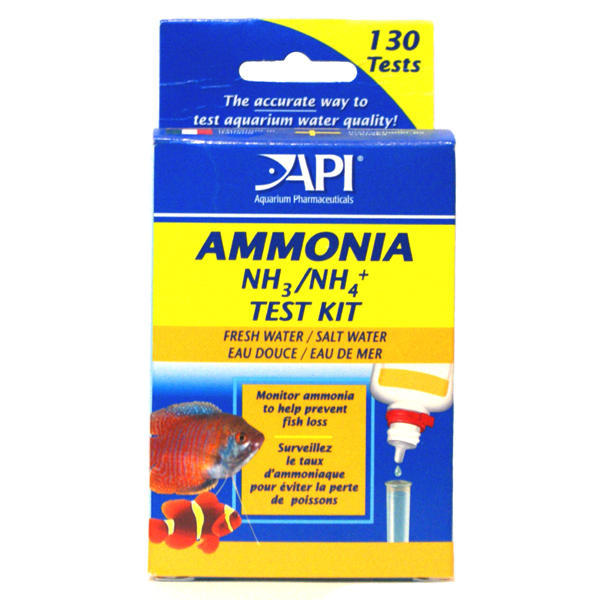 •	Tests ammonia, the number 1 killer of both freshwater and saltwater fish. •	By accurately measuring the ammonia level, this kit gives an indication of the efficiency of the biological filter. •	All fish thrive at a particular ph level. 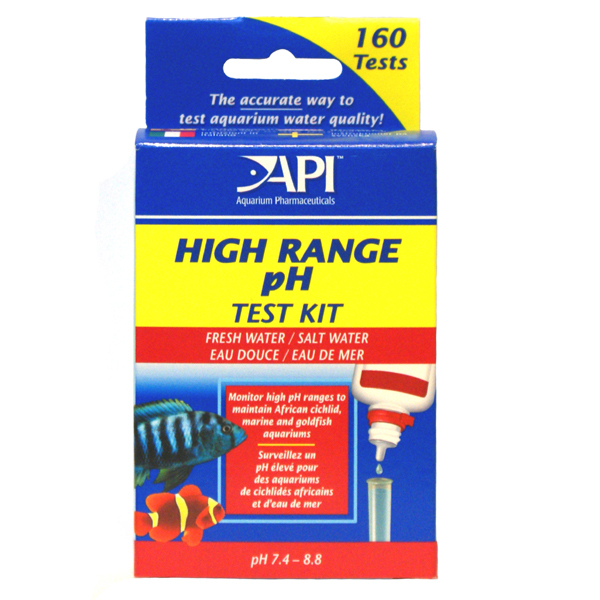 Ph can fluctuate due to fish waste, tap water, and build-up of natural acids. •	Fast. Easy and accurate. 250 tests. •	Reads nitrite 0- 5 ppm. 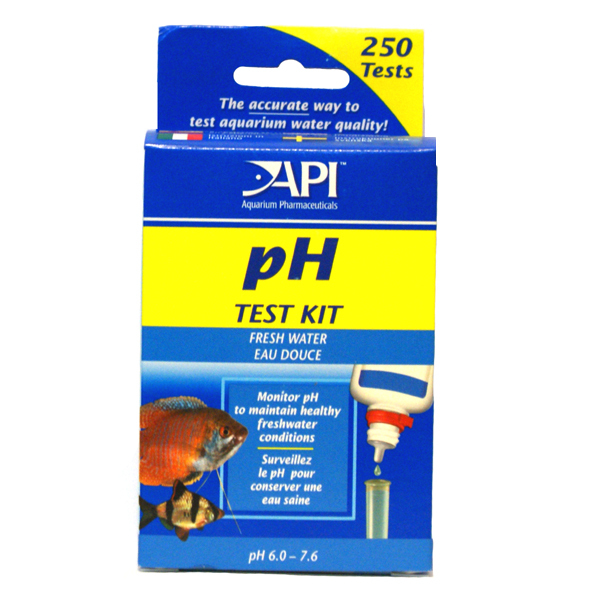 •	An accurate way to help determine when to change water and determine over all aquarium health. 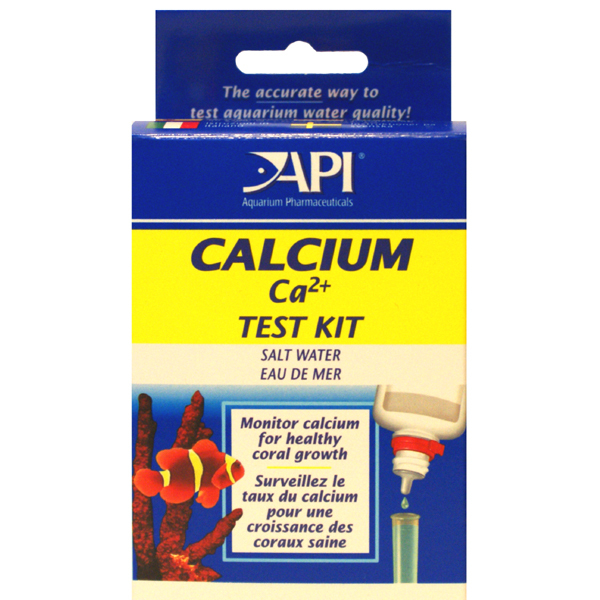 •	An accurate way to gauge calcium levels in fresh or saltwater aquariums. •	Effective for testing marine alkalii reserve. 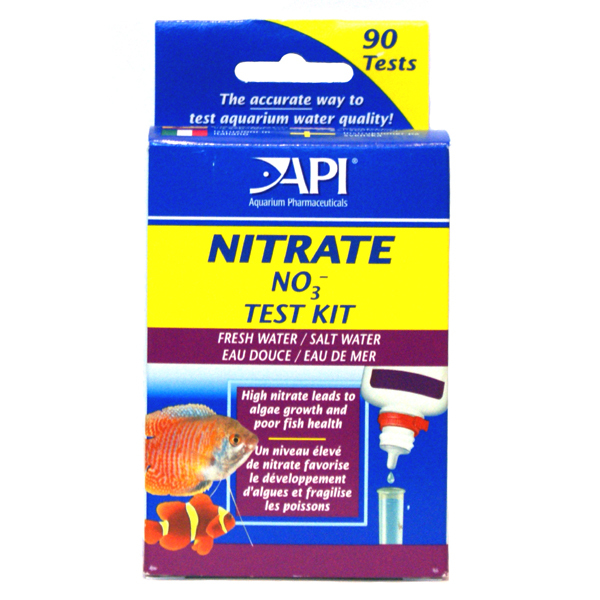 •	Useful for determining causes of unwanted algae growth in aquariums and ponds. •	ORP Accuracy 1 mV +/- LSD. Silicate/Silica occurs especially in tap water or in purified water when the RO or DI unit is not functioning properly. Silicate not only results in diatom bloom but might also block some essential trace elements such as vanadium and molybdenum. •	Approx. 60 tests per kit. •	The test range is 0.03 - 30 ppm as SiO2. 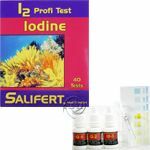 Iodine is present in natural sea water in a very low concentration (0.06 to 0.08 mg/L) and this iodine occurs as several different species including iodide, iodate, molecular iodine and hypoiodite. What is also noteworthy is that many if not most iodine test kits are not capable in detecting iodate. Since in an aquarium iodide can be transferred to iodate. 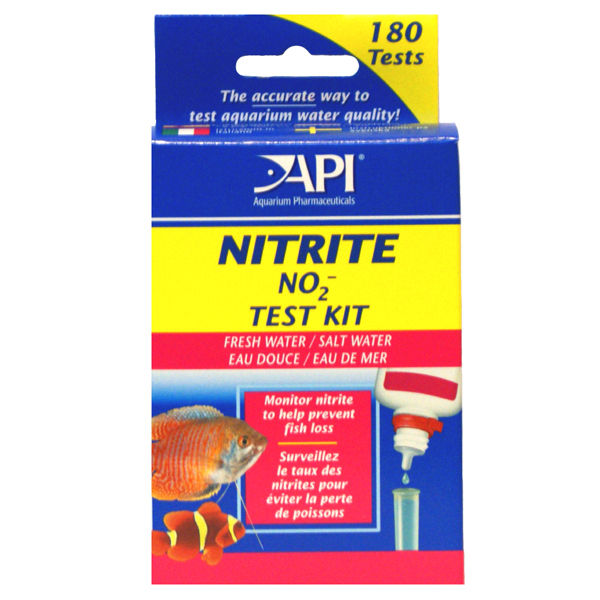 This means that if a test kit is used not capable in detecting iodate, a false low total iodine concentration (sum of iodate and iodide) will be obtained and the iodate concentration can climb far too high and possibly upsetting the aquarium environment. 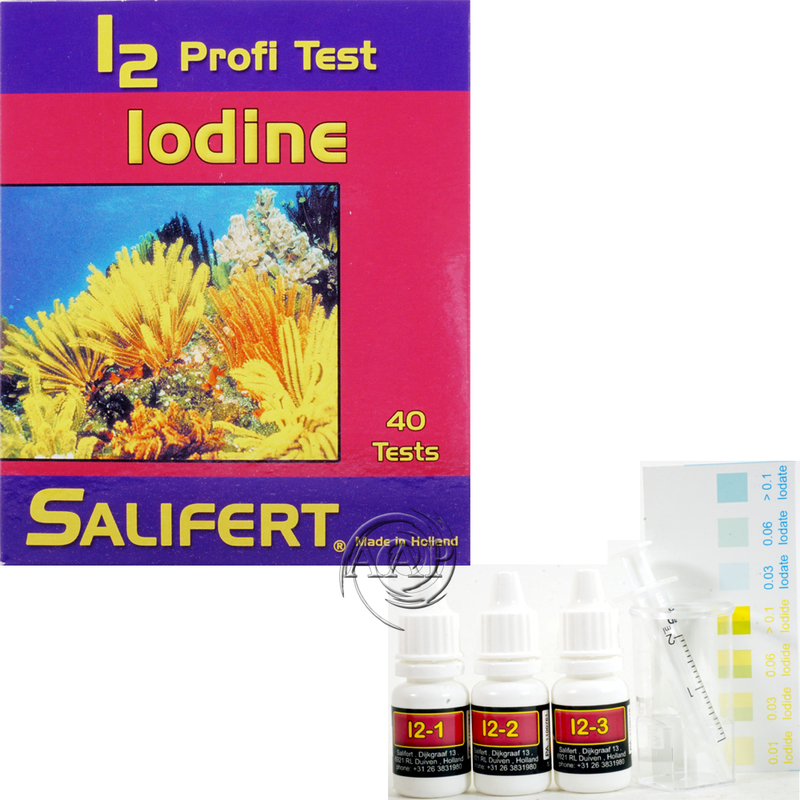 •	The AAP/Salifert Iodine Profi Test measures all naturally occurring iodine species such as iodate, iodide, molecular iodine and hypoiodite. No other test kit offers this possibility. Oxygen is highly essential for all life forms. Especially corals and marine fish require oxygen concentrations at saturation level. This is because of the low solubility of oxygen in saline water which is approx. 5 - 7 ppm. 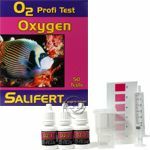 •	The AAP/Salifert oxygen test measures oxygen concentration in just a few minutes. 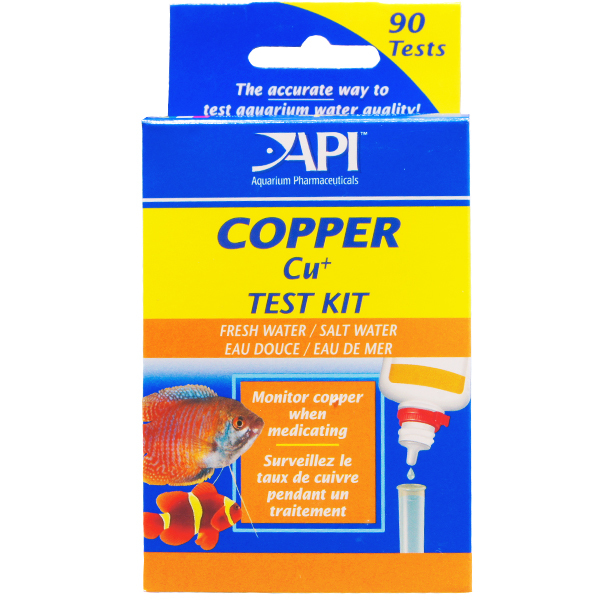 •	Approximately 50 tests per kit. •	Test range: 2- 14 ppm. Add 1 cc of indicator solution to the reservoir then reattach the indicator firmly. 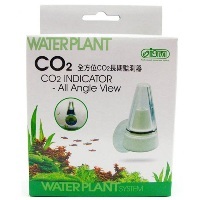 Submerse the CO2 indicator vertically and attach to the desired location inside the tank by suction cup. Stick the color chart on the glass wall of the tank to read the CO2 in your tank. •	We suggest “breaking it in” by filling with saltwater and letting it sit for a few hours, then rinsing well with clean freshwater after each use. 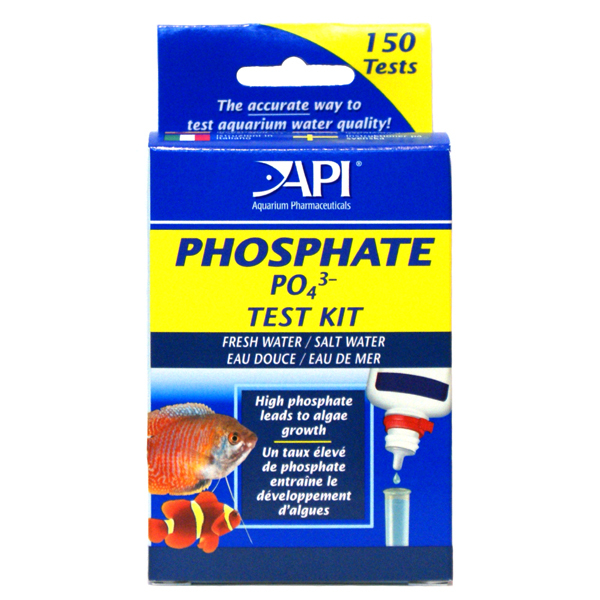 An excellent stand alone product for testing your TDS from Tap, well, or even aquarium water. 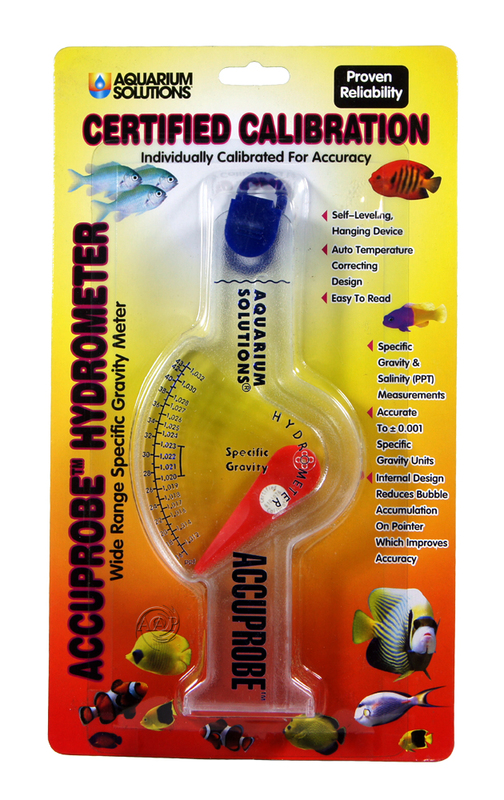 A must have for any advanced aquarium keeper. Including the premier Ich treatment; ParaGuard, as well the best available water conditioner; Prime. Blended carbon and resins that can aid in nitrate control. Optimum 254nm High Output µW/cm2 UV-C Hot Cathode Quartz Germicidal Lights at Competitive Prices! The best in reef or planted aquarium LED lighting, with the best drivers and patented emitters. Featuring the unique Ocean Blue NP Ultima for high light needs reef aquariums.